Decrease your garbage pile by 30%! 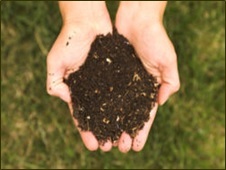 Composting decreases waste, recycles valuable nutrients, and prolongs the life of the landfill. Best of all, composting requires very little effort. Food scraps make up a whopping 1/3 of our garbage. When we throw them away, food scraps end up in landfills where they take up space and produce methane, a powerful greenhouse gas. Fortunately, food scraps are a valuable source of nutrients for other organisms! Everyday organic materials such as uneaten fruit and vegetable scraps, coffee grounds, tea bags, and egg shells are all compostable, as are leaves, paper, grass clippings, pine needles, and discarded plants. All you have to do is create an environment in which they can decompose. Come to a Composting Workshop at Recycle Utah to find out what you need to do to create a great compost pile. We will discuss the many benefits of composting and you’ll have the opportunity to address your questions and concerns. Check our events calendar for upcoming dates. Workshops are generally held in the Spring and Fall. We are also available for presentations for your group or office. Call us at 435-649-9698 for more information.